MANLA — On the day peasant leader Rafael Mariano was installed as chief of the Department of Agrarian Reform (DAR), allies of the Cojuangco Aquino clan reportedly ordered the destruction of more than 20 hectares of palay and vegetables in Hacienda Luisita. 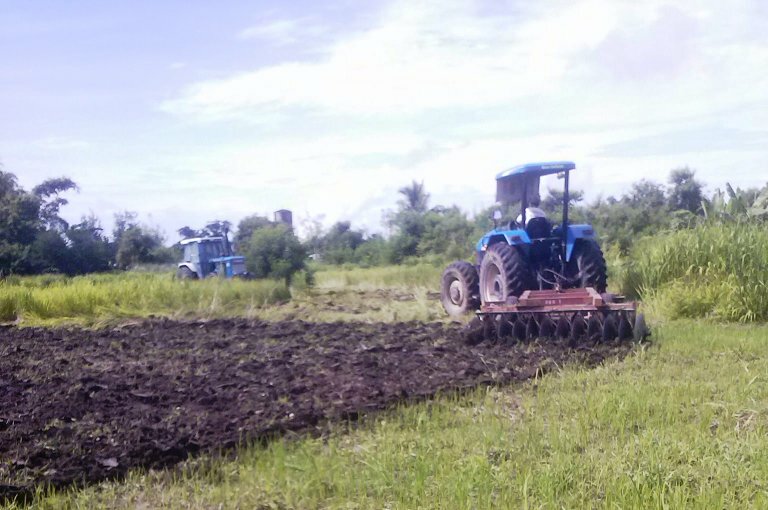 According to Unyon ng mga Manggagawa sa Agrikultura, Buena Timbol of the Luisita Estate Management (LEM) and Tarlac Development Corporation (Tadeco) ordered elements of Tarlac police, including members of the Special Weapons Attack Team (SWAT), to flatten the crops in barangay Mapalacsiao. UMA Secretary General Danilo Ramos said former DAR officials should be held accountable. Ramos said, Justin Vincent La Chica, former Chief of Staff of then DAR Secretary Virgilio de los Reyes, in a memorandum dated May 18, 2016, told the Provincial Agrarian Reform Officer (PARO) not to wait for the pending agrarian dispute case in said area for the installation of agrarian reform beneficiaries (ARBs) in barangay Mapalacsiao. UMA maintained that the disputed land, cultivated by Leoncio Suarez, Gerry Catalan and others since 2004, should be given to the tillers and not to ARBs linked to the Cojuangco-Aquino clan. Last year, PARO led by lawyer Jose Eduardo Narcisco, with assistance from fully-armed policemen, destroyed the food crops and fruit trees in the same area in Hacienda Luisita. UMA said the DAR was also instrumental in the illegal arrest, smear campaign and filing of trumped-up charges against Hacienda Luisita farmers. Catalan and several others were slapped with violation of RA 6657 or the Comprehensive Agrarian Reform Law – for cultivating the land promised by agrarian reform. Anakpawis filed a resolution calling for an inquiry on how the DAR under Aquino implemented the Supreme Court decision on Hacienda Luisita. He also urged the new chief of the Philippine National Police (PNP) to investigate why Tarlac PNP continues to serve as a private army of the Cojuangco-Aquino family. “The Cojuangco-Aquinos are far worse than drug lords, they are a feudal lord family, they victimize, not individuals, but generations of farmers, and their crime is the mother of all social cancers and injustice in the country, tyrannical monopoly control over vast tracks of land,” Casilao said. Earlier, Mariano vowed to prioritize the distribution of Hacienda Luisita to the farmers. This entry was posted in ALERTS, From the Ground, In the News, Uncategorized and tagged DAR, Hacienda Luisita, human rights, impunity, landgrabbing by UMA Pilipinas. Bookmark the permalink.